Alke' has three different types of battery for its electric vehicles: lead acid, lead gel, lithium-ion. 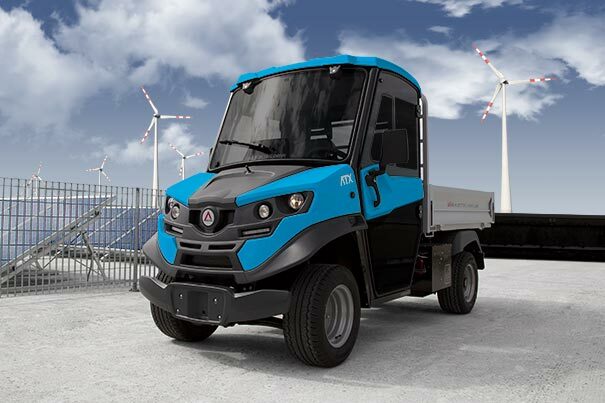 Depending on the needs and how you want to use your electric vehicle, Alke can provide three different types of battery: lead acid, lead gel or lithium-ion. Each type of technology has its own advantages, but it's important to choose the one most suitable for the specific use you will be putting it to, in order to obtain the maximum benefit. Let's take a look at the main characteristics of the three different batteries. Why you should choose a lithium ion battery (LiFePO4)? This type of battery almost doubles the autonomy of an electric vehicle. These batteries offer approximately 2000 cycles, which means they last longer than the other types. They can be 100% recharged in 1.5h hours (80% in 1 hour), and partial recharging is also possible so they're ideal when the vehicle is used 24 hours a day. They're much lighter than the equivalent batteries that use other types of technology, so the vehicle has a greater effective capacity - a fact that can make a significant difference, especially when the vehicle is used off-road (where there are no type-approval regulations concerning weights). A wide variety of fields of use because, apart from covering the gel needs (maintenance-free), they offer certain additional features as well. If you want increased autonomy and first class performance, that's the right choice. The only limit may be their higher cost. In the case of vehicles fitted with a lithium battery, the battery area has a winter pre-heating function so work can be carried out even in places with harsh sub-zero temperatures. (*) Depending on the battery capacity. The maximum autonomy figure is approximate, and was obtained on a flat surface, in optimum usage conditions, with ECO mode and energy saver and adopting a correct driving manner, at a speed no higher than 60% of the maximum speed, for non-continuous use (battery dead in 5 hours). Why you should choose a lead acid battery (latest generation)? Among all the various types of battery, the lead acid ones are the least expensive. This type of battery is used in particular in professional contexts where the speed of the vehicle is not a priority. Lead acid batteries can be used in various sectors and with different types of vehicle use, as they don't need any special attention. They're ideal, for example, in campsites, holiday villages and other kinds of general use. Alke' offers professional batteries with 1200 cycles, so their average lifespan is very high in relation to their price. If you want an extremely flexible, professional battery at a reasonable price. In 80% of cases, they're used in a variety of situations like holiday villages, industrial plants, etc. (except closed places with a high number of visitors). Why you should choose a lead gel battery (maintenance-free)? This feature may be preferable or necessary in certain contexts where you need to be sure there are no liquid leakages. This type of battery doesn't need to be topped up with water, but it's more sensitive than the others when it comes to respecting the recharging times. These batteries are usually chosen by those who use their vehicle only - or almost only - in closed places. If you want a maintenance-free battery, or you need one that's completely sealed: hospitals, airport terminals, museums, etc. Alke's qualified personnel will help you to select the right type of battery to get the most from your vehicle.